Steve Peabody has over twenty-five years experience playing in both live performance and studio recording sessions, most recently averaging 180 performances annually. 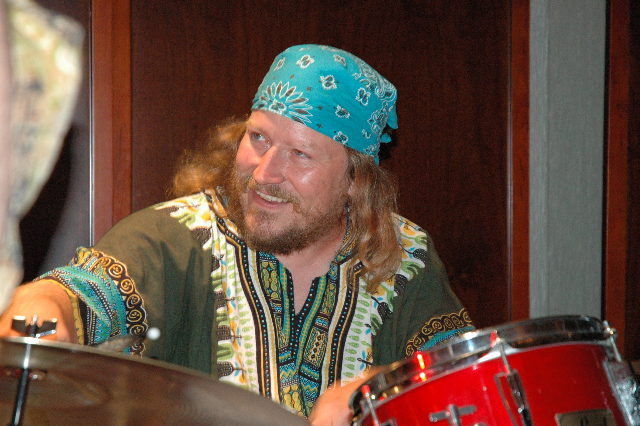 He has been the drummer and percussionist for The Erinn Brown Band for the past 15 years, and also freelances with many other local acts and performances throughout New England. Steve studied Music Education at UMASS Lowell from 1989 through 1992 with an intensive in Classical Percussion with Jeff Fisher. Continuing his studies in Song Writing at Berklee College of Music, he worked closely with John Ramsey and Rick Considine. He also pursued independent study with legendary drummer Alan Dawson. Steve has recorded in the studio with The Erinn Brown Band, The Dented Cans, Kenny Selcer, and Fran McConneville. He has performed in the Pit Orchestra for the following Musicals: King Richard’s Faire, The Fantastics, The Forbidden Zone, Gods Country, and Seven Brides for Seven Sons.